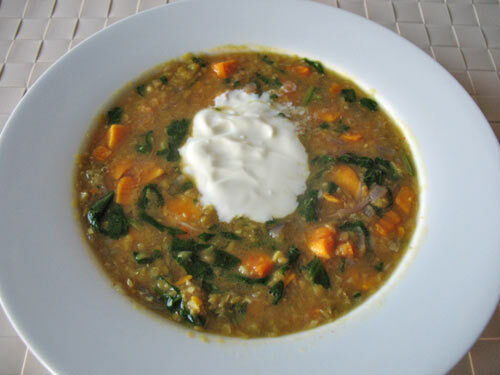 When the weather is cold there is nothing better than having a delicious warming soup, even better if it’s healthy! Healthy?, you may ask… Aren’t all the soups healthy? Well, not all of them. Some of the supermarket-bought soups are loaded with salt and sugar. Do you ever check labels when buying a soup? You should avoid buying soups with red labels and the more green labels the better! I don’t normally buy soups in supermarkets as I don’t find them very healthy. Also, it’s really difficult to please me since I don’t eat meat and I don’t like spicy food but recently I discovered Soupologie and I am so glad I did! I bought their first soup from Asda and it tasted delicious (it was kale & spinach, for your information). I was actually surprised at how good it was considering that it was really healthy. I must say Soupologie soups are so delicious! Some of them are blended, like Pea and Leek soup while others are left unblended such as their Ancient Grains soup. 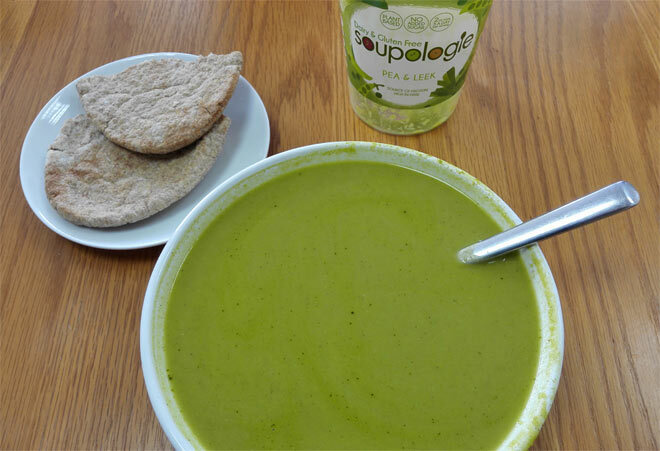 All the Soupologie soups are gluten-free and dairy-free which makes them suitable for vegans. They are also vegan certified, if that’s important to you. What’s more, they don’t add any sugar and additives to their soups. This is what I really like about them. Also to mention, their pots are BPA-free and the ingredients they use are not genetically modified. What else could you want from a healthy soup? 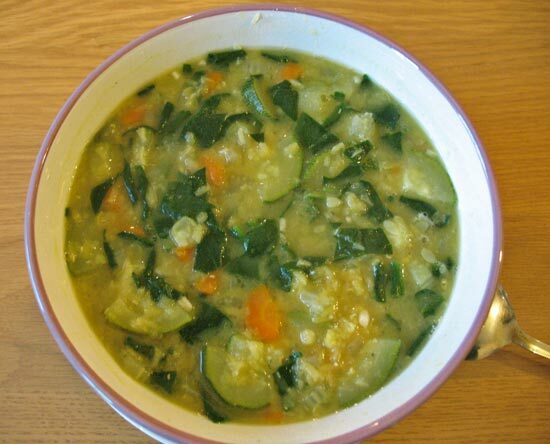 Watercress Courgette & Quinoa soup has a lovely flavour and tastes delicious. I loved it! I don’t like peas and I never eat them but in this soup I actually quite enjoyed them. 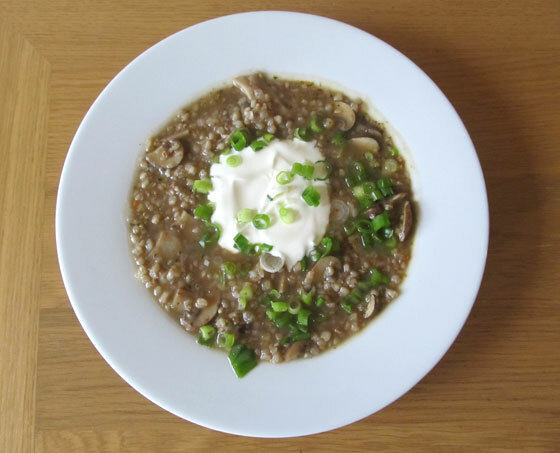 A combination of pea and leak is great and you have an added benefit of protein from peas. This is probably my favourite soup from Soupologie. It reminds me of something that I would make at home. It’s hearty and filling and makes a great lunch (it contains beans as well). All in all, I think Soupologie are a great brand and I would highly recommend their soups. These are great for when you don’t have time to make your own soup and you want something healthy for lunch. If you want to buy them, check your local Asda or Waitrose first but if you cannot find them there you can buy them online through Ocado or Planet Organic* (If you would like to get a discount on your online shopping, don’t forget to check VoucherBin.co.uk for offers and great deals). Have you tried any of Soupologie’s soups and what did you think? Do you ever buy soups from your local supermarket? They are great, I highly recommend them, you won’t be disappointed! 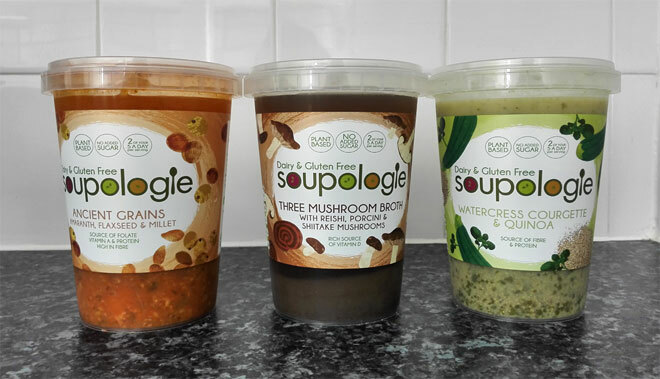 I didn’t realise I could buy Soupologie’s soups from Holland & Barrett, need to check them out next time, thanks! Thanks for sharing such types of soups. Blog is really very helpful and very informative. I like it and i will definitely going to try them. The soups should be highly rich in protein, vitamins and I like mushrooms so I am going to try Soupologie Three Mushroom Broth. I am so happy to hear that you are enjoying my blog Henry! Soupologie’s soups are really healthy indeed, just keep in mind that their mushroom broth is quite watery and won’t really fill you up. It’s still good to try it though as it’s rich in vitamin D.
Thank u Petra to reply me. I will keep your suggestion in my mind. I hope that I will get such informative blog in future. I appreciate your work. The article is very helpful and interesting to know as soups. It contains more protein and vitamins. It sounds absolutely lovely, I’ll be going to give them a try. I am glad you found it useful Catherine! I am now buying Soupologie soups every week as it just saves me lots of time.